From “a pioneer in alternative health” (Dr. Oz), doctor of natural medicine, and the co-author of the Encyclopedia of Healing Foods and The Encyclopedia of Natural Medicine comes this accessible and comprehensive eating plan based on his extensive knowledge of food as medicine to promote optimum health. Food affects our body, mind, and health in many remarkable ways. And certain foods work together in ways that are almost magical. 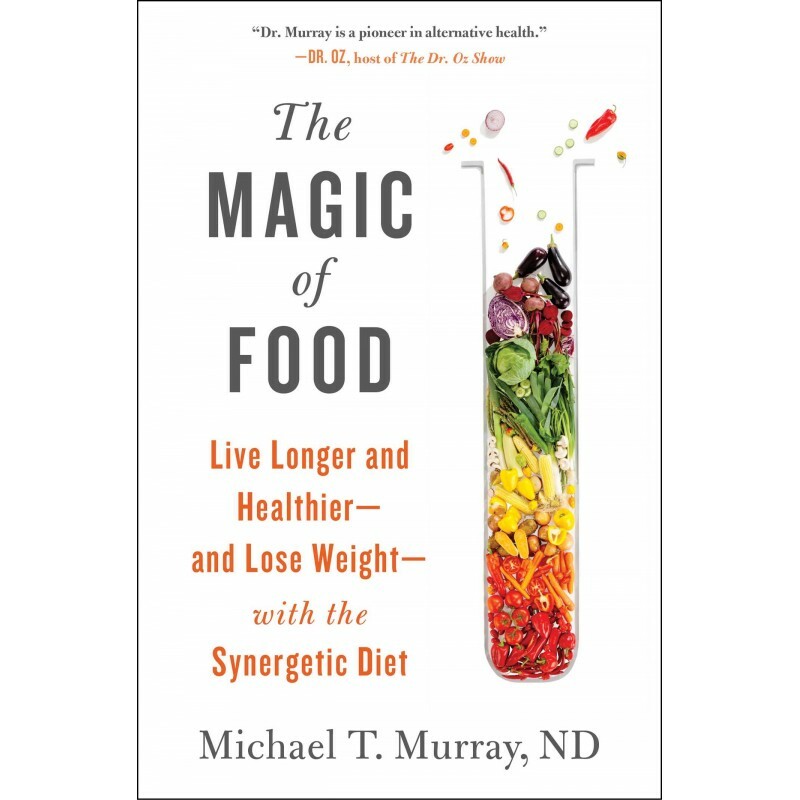 In this groundbreaking new eating plan, Michael Murray, ND, identifies foods that act together to produce a total effect or force that is greater than the sum of the individual foods—what is known as a synergetic effect. Research shows there’s a tremendous synergetic effect that the healing force of nature exerts through each food and each food component. As the foods work together, they improve your energy and your physical and mental health. Michael Murray’s years of research and clinical experience have led to a definitive understanding of how specific foods affect us. He presents his findings on phytochemicals and other nutrients and why they’re the new “vitamins,” discusses specific healing foods and how to combine them, and explains the principles to follow for eating the most synergetic foods every day. Here also are practical and prescriptive recipes and helpful guidelines for better and delicious eating. All this is in a usable and entertaining guide that you will turn to again and again as you develop your own personalized program for using food as medicine.